In just one easy step, you can get your business on the internet. Try it now for free, and if you like it you can put it online immediately. £1/monthexcl. VAT Cancel anytime. No frills. No ads. Just you. You own the address and all data – we secure and protect it. Your visitors and customers will take notice: Trust is universal to any good business relationship. 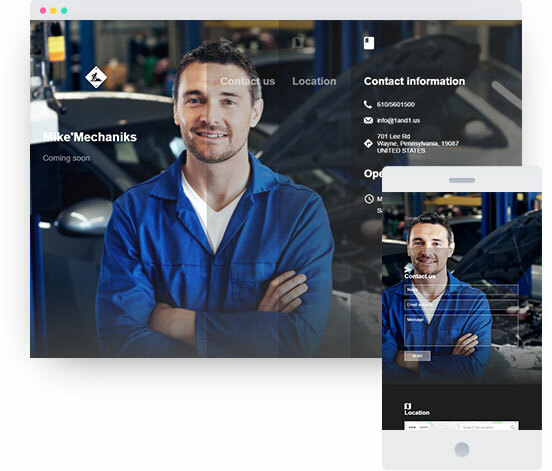 We developed our website templates to make sure your business looks great online. You decide what information takes centre-stage thanks to customisable layouts with clean designs. 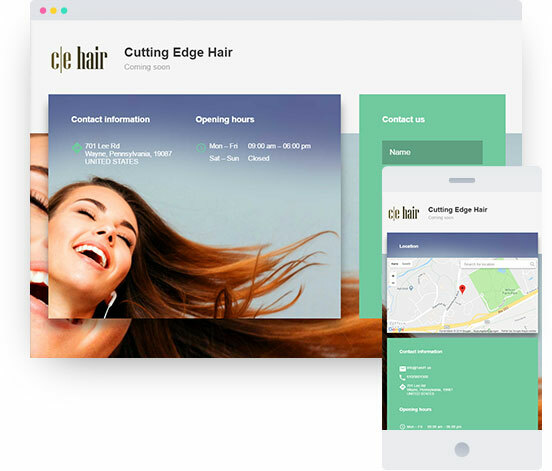 And of course, all templates are responsive, so your website will look great whether it is viewed on a desktop PC, tablet, or smartphone. Once you find a domain name, you can set up your email address. Something like info or contact@yourbusiness.com is a great place to start. Last, but not least, you will see your website – a professional layout filled with imagery specific to your industry. You can adjust the layout, or change what information you include by toggling your Google Maps location, opening hours, and more.